At seventeen years of age, Adria Idonea has already seen both sides of war. Once princess in a citadel tower, she followed the ghosts of her childhood to become a Hunter, a healer, and a visionary among the enemy in the Wilding forests of Heiland. But now Adria has come of age, and a promise she made in haste has bound her to return to her home after long exile. She doesn’t know what she will find… but they don’t know who she has become. 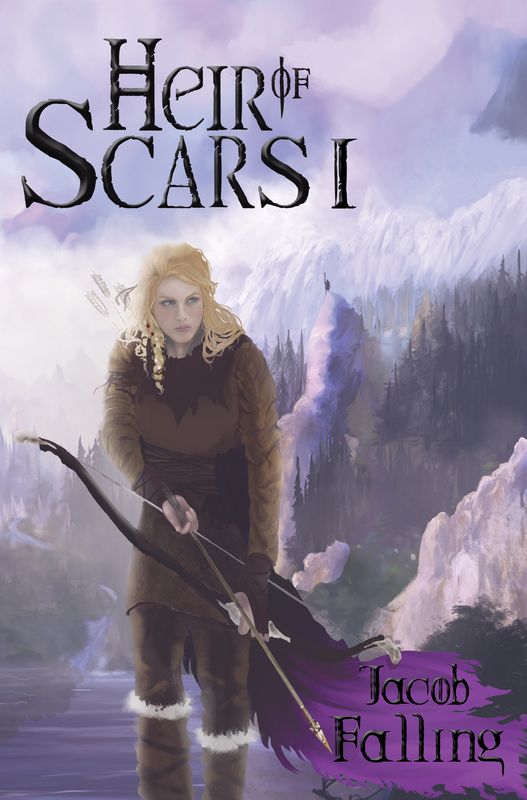 The Heir of Scars is an epic fantasy novel series with a strong female lead. This new paperback edition comprises the first eight novellas in the series, originally published as Kindle editions. Clocking in at 555 pages, it also includes hand-drawn maps and illustrations by Vanessa Bettencourt.